We don't provide download link for YouCam 5 now,if you purchase it, we 100% satisfaction guarantee: 30 days money back. Upload your webcam videos straight from YouCam to YouTube or Facebook in HD! 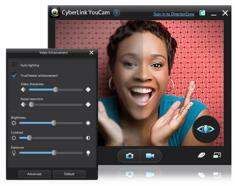 A good news, CyberLink Corp. (5203.TW) today launched YouCam 5, the latest version of its popular webcam software. YouCam 5 is the ultimate webcam software, providing you all the tools and features you need to get the most out of your webcam. Whether you’re looking for fun features and effects you can use when chatting with friends, or powerful utilities to enhance your work presentations, tutorials or video conferencing, YouCam has it all. For work, play and everything in between, YouCam is the only webcam software you’ll ever need! Create videos with interactive fun effects: Includes filters, headgear, emoticons, frames and virtual scenes to create fun videos and to express oneself while chatting online. Look better with TrueTheater® technology: Enhances lighting and removes noise from captured videos to make you look better onscreen. Note: Website face login features require Internet Explorer 7 or above. 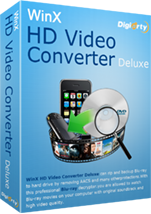 Is all-in-one video-editing software for creating high-quality HD and standard-definition movies, slideshows and DVDs.